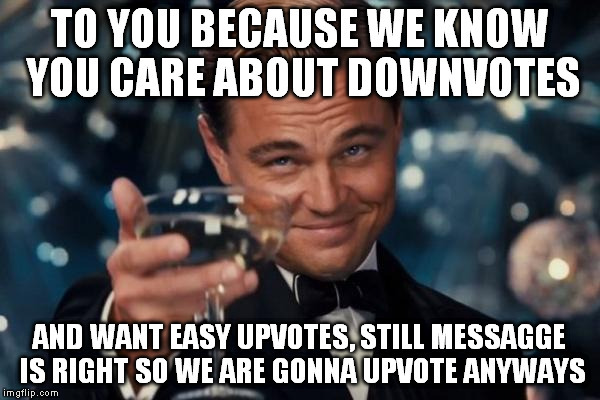 Sorry I deleted the meme I commented with but in any case, who actually cares about downvotes...not me. I made a simple moral statement. I was not trying to hit any amount of likes or dislikes though I think you for commenting. 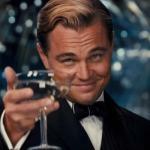 But I made a simple moral statement, if I wanted upvotes I would have made a funny meme, but this one is nothing to joke about, just giving a legitament congradulations to everyone who still has respect. You make great points. 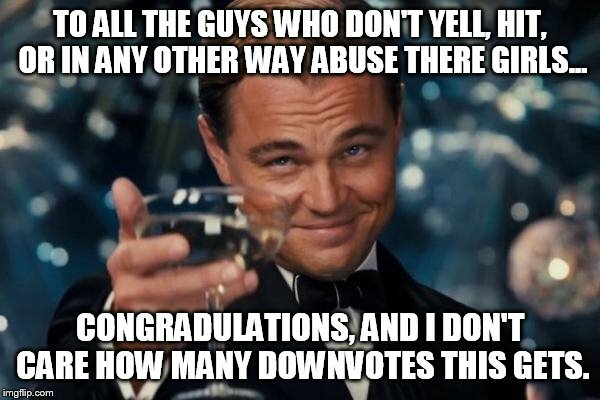 I can't judge on the points comment to the meme, .. but the thought may have been that there is a % of users that downvote memes more than create memes. I know that I always expect downvotes to my memes, no matter if they are humorous. . Or just sending a message. When we post something on a public forum, we can expect a basket of varied comments, and a mix of votes. I enjoy getting upvotes and comments, even when the comments differ from my opinion, I never downvote. If opinions get nasty.. i just disengage from commenting. 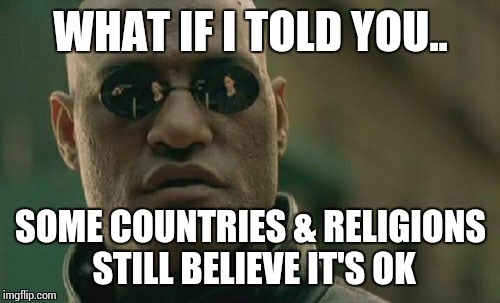 I didn't do that early when i joined IMGFLIP, .. i just "matured" with time and learned from other users. Good comment brother! See I totally agree...for some reason going around and down voting or more fun than making memes. To some people this is just fun but I thank you or your comment I never expected to get comments like the ones I have gotten on this meme and on another one related to cheating. I made these two memes because one of my best friends got cheated on recently and it highly upset me. But like I said I appreciate the comments from everyone. Even the disagreement ones because I do like to hear other peoples ideas and I only down vote for racism...mainly because people are people. Now matter what race. Congratulations* and yeah nice meme. Upvoted. Thanks for correcting my spelling. Much appreciated. And I know, thanks for the upvote and I can't believe how much this is still going on. 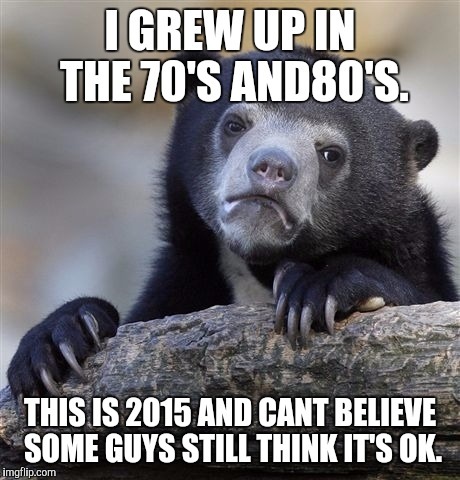 I myself am only seventeen and it is unbelievable how much this is still happening. And at the fact that it is on t.v and things like that. Anyways, thanks for correcting my spelling and for the upvote sir. Thanks so much for taking time to read,upvote, and comment. Means a lot. They're: A contraction for the words "They" and "Are"
Please excuse my Grammar. But I think this list is now correct. I'm not perfect. Sorry about the spelling error. Thank you for your time and comment. If you don't have a girl then I hope when you do. You have respect. Sorry I didn't see this comment, I must have overlooked it, I know I am a bit late in response but thank you for your comment. May I ask what you mean by "Beta"